A good way to start Spring Break is by going on a run! It was sunny and about 50 so it was also great to run in shorts! Pretty muddy and still snow in places. Really should give the trails some more time to dry as it was hard to go up some of the mudiest hills! A rogue biker had been on the small section by 55 and rutted the whole thing. This entry was posted in My Running and tagged My Running, Trail on March 29, 2019 by crossn81. An icy and muddy run around Wirth. Felt good to be running but I wasn’t wearing spikes so it was a little slow going! This entry was posted in My Running and tagged My Running on March 24, 2019 by crossn81. With 6 more inches of fresh snow, I didn’t want to be the first bike on the trails again so I opted for a run. Normally I’d run on the sidewalks and do a boring loop in the city, but this morning I went more adventurous and headed towards the trails. I figured rightly that I’d find some paths that were more packed down, but I guess wrong that the ski trails wouldn’t be groomed yet. So at times I ran in snow that was knee deep and some harder packed snow on the edge of the groomed trails. Running back on the paved trails was a little bit better, but they hadn’t been plowed yet either. 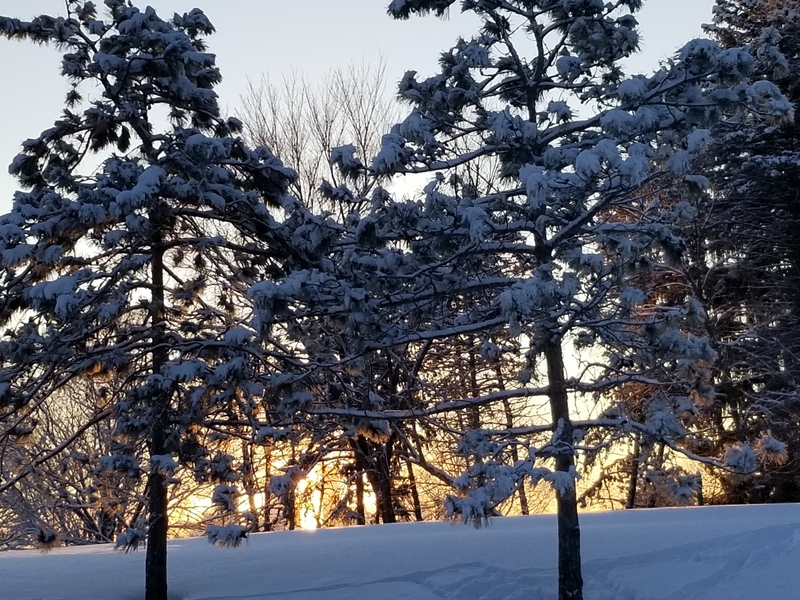 Since I had a little time and the trails were groomed I ran home and grabbed my skis. I walked back to the natural snow and started skiing. The snow was a little soft and wasn’t easy to move on. So I did a short loop and then headed over to the man made stuff. It was better, but they were getting ready for a race so I didn’t ski too much. I ended at the Drevil’s Drop and walked home. 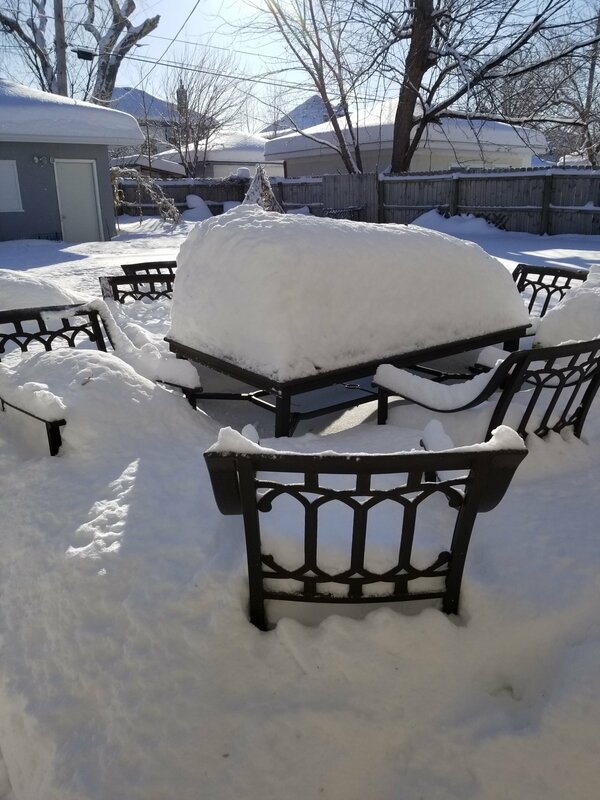 I invited my Ohio family up for a picnic… they didn’t seem too interested. 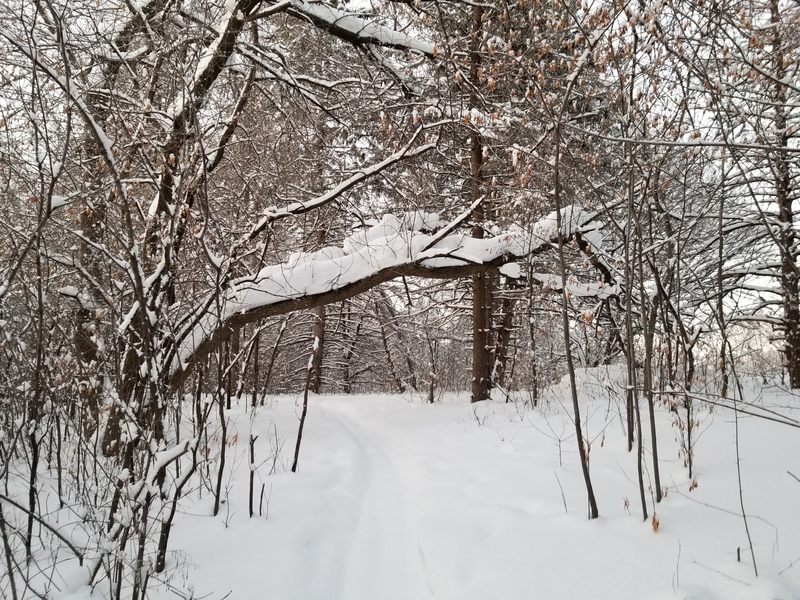 This entry was posted in My Running, Skiing and tagged Cross-country skiing, My Running, skate ski on March 2, 2019 by crossn81.